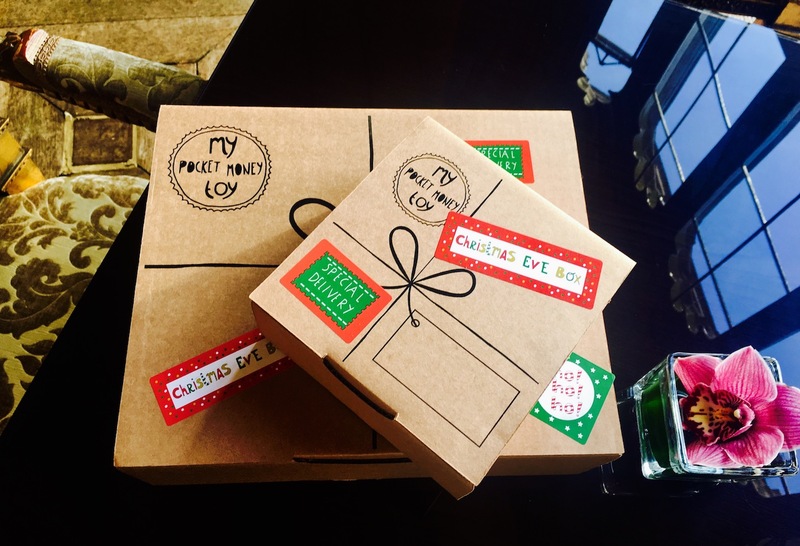 The Christmas Eve box is a very special box containing lots of festive fun to keep excited little ones entertained on the night (or day) before Christmas. This box contains a beautiful Wilbury rabbit cuddly toy, Christmas story book, Brainbox jigsaw puzzle, Little Blue House by Hatley socks, Orchard Toys colouring book, 2 Playfoam pods, Belgian hot chocolate stick, Gourmet Chocolate Pizza Company pizza slice, reindeer food and even a certificate from Santa! The Christmas Eve box contains chocolate products, please email info@mypocketmoneytoy.com if you require allergy free alternatives.